A Barn at the Quarry is an exclusive property where every guest reservation is both important and special to us. If your travel plans change and you must cancel your reservation, please call us at least 10 (ten) days* prior to your arrival date to cancel your reservation. In the unlikely event that you must cancel with less than ten (10) days* notice, shorten your stay or check out early, please understand that we must ask you to take responsibility for your entire reservation. If we can rebook your room(s), a full or partial refund may be made. Weather conditions are not a valid reason for cancellation; however, if roads are impassable according to the Texas Department of Transportation, a different cancellation policy may be instituted. *A 30 day cancellation notice is required on whole barn bookings and for some holidays and special events. Makeup removal pads and dark wash clothes are located in each bathroom Any towel found with makeup and/or excessive dirt or grease will be charged to your room $12.00 Bath towel, $10.00 Hand towel and $8.00 washcloth. Any loss or damage incurred to the property during your stay will be billed at owner's discretion. Smoking is NOT allowed in any of rooms at A Barn at the Quarry. A $100.00 per day surcharge will be charged for guest smoking in any of the rooms. Designated outdoor smoking areas are available. No Pets. Please call for help in making arrangements to board your pet locally. 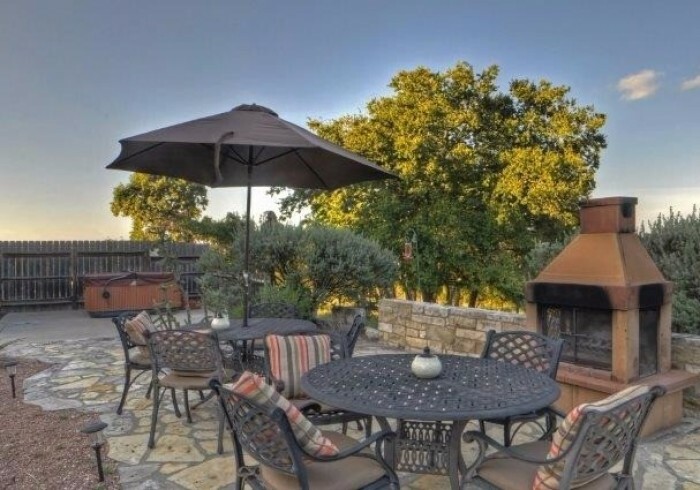 A Barn at the Quarry is a Fredericksburg, Texas Bed and Breakfast/Guest House. Our unique bed and breakfast is nestled in a rural pasture surrounded by walking lanes and abundant wildlife. A Barn at the Quarry Bed and Breakfast offers romantic and restful interludes from the demands of your hectic life. The atmosphere and set up of the patio and private porches allow for privacy and gathering for ladies’ and family retreats. Spend the weekend at our wine country getaway and let the cares of your busy life float away.